Thanks for looking me up! I specialize in residential real estate with a primary area of the Town of Barnstable on beautiful Cape Cod which includes the villages of Barnstable, Cummaquid, Hyannis, Hyannisport, West Hyannisport, Centerville, Craigville, Marstons Mills, Osterville, Cotuit and West Barnstable. 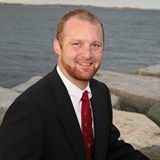 I am ranked in the top 1% of all agents/brokers on Cape Cod and work with sellers and buyers. I am an Accredited Buyer Representative and Senior Real Estate Specialist. It is a great time to buy on Cape Cod!